A top Los Angeles City attorney is now actively reviewing the file of evidence and police complaints of May 17 event at UCLA for possible prosecution under state laws that criminalize the disruption of public meetings, other related statutes. 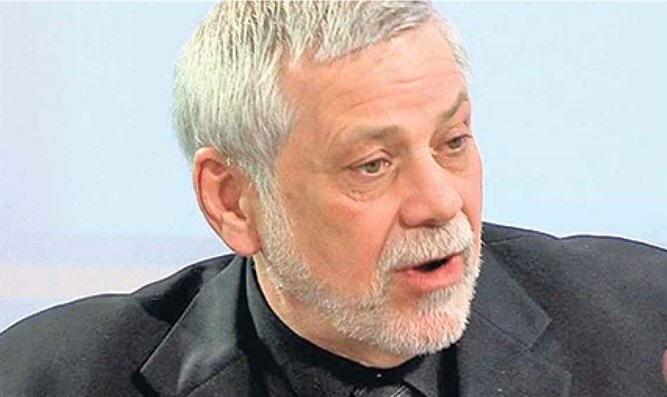 The writer is the New York Times best selling investigative author of "IBM and the Holocaust", and his just released book, "Financing the Flames: How Tax-Exempt and Public Money Fuel a Culture of Confrontation and Terrorism (Dialog Press)." He can be reached at www.edwinblack.com. 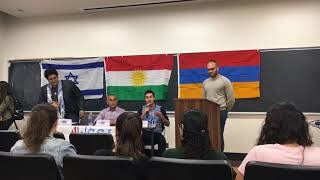 It began as yet another frustrating example of a university refusing to take swift action in a case of aggressive disruption of a pro-Israel event, the belligerent shutdown of a Students Supporting Israel panel discussion occurred at the University of California-Los Angeles on May 17, 2018. That incident has skyrocketed to become the most important potential prosecution of anti-Israel campus disruption in the nation since the Irvine 11. A top Los Angeles City attorney is now actively reviewing the file of evidence and police complaints for possible prosecution under state laws that criminalize the disruption of public meetings, as well as other related statutes. In the now well-known case, on May 17, Students Supporting Israel gathered in a UCLA function room for a panel discussion titled Indigenous Peoples Unite. Disruptors--suddenly and loudly--stormed into the room mid-session. One person tore down the students’ flag, demonstratively pulled away a desk placard, and cursed threateningly close to the face of a panelist. With bullhorns, whistles, staged dancing, and slogan shouting, the event was shut down. The disruption and nose-to-nose intimidation of the students attending the SSI event was documented in a video, beginning at minute 41. Although the UCLA administration publicly promised a referral to prosecutors, no such action was taken against the various protestors — both students and non-students, because UCLA campus police were awaiting formal complaints by the intimidated students. Only after such a formal police report is filed do police investigate and determine if a referral to prosecutors is called for. Then, prosecutors weigh the evidence and decide if prosecution is warranted. All students contacted by this reporter stated they did not know they were entitled to make a police report. 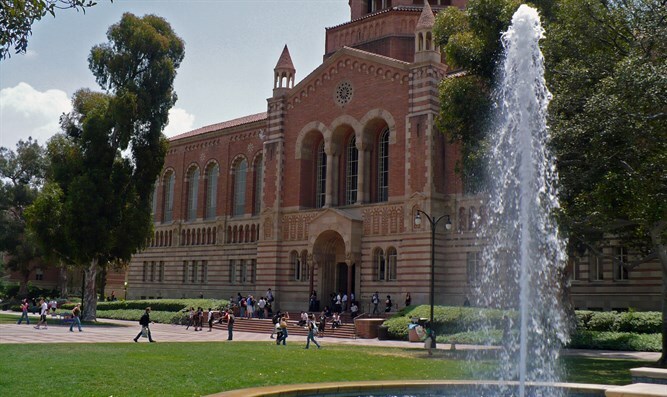 After media revelations about UCLA’s inaction, two Jewish groups sprang into action--the Louis D. Brandeis Center, headed by constitutional attorney Alyza Lewin, and the StandWithUs Saidoff Legal Center, headed by attorney Yael Lerman. The Washington-based Brandeis Center flew its attorney, Aviva Vogelstein, to LA. Together, Lerman and Vogelstein personally escorted numerous students as well as one member of the community into the UCLA police department where they all filed formal written and verbal complaints. After processing the collection of complaints, the UCLA police department opened Case 18-1206, assigning it to one of its seasoned detectives, Selby Arsena. Detective Arsena has racked up a many-years-long track record investigating campus violence. One of these included a 2011 stabbing case that resulted in a twelve-year prison sentence. Both Arsena and Hart declined to comment for this article. Just a few days after case 18-206 landed on Hart’s desk, he was emailed a seven-page letter, submitted jointly by the Brandeis Center and the StandWithUs legal center, a copy of which was obtained by this reporter. The joint letter was a polished and detailed review of the evidence, legal precedent, and case law. The letter is jointly signed by Lewin, Vogelstein, and Lerman, the three of which have become the most active in the effort to see the matter prosecuted. While Lewin, Vogelstein, and Lerman have led the effort to have police reports filed and argued for prosecution, numerous Jewish and pro-Israel organizations have voiced support for the idea. Just days after the disruption, the Zionist Organization of America’s legal department sent a letter to UCLA insisting that a violation of state criminal law was clear. If prosecutions and convictions result from the May 17 UCLA event shut-down disruption, it is expected to help define the criminal limits of such disruptions at campuses across the nation. Edwin Black is the award-wining New York Times bestselling author of IBM and the Holocaustas Financing the Flames.